Hungry cats are coming! What's on the menu for tonight? 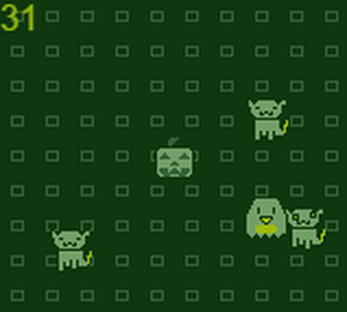 Use the arrow keys to move around and spoop the cats away! Don't let them eat your pumpkin!